The Distinguished Organization Award is given in recognition of outstanding contributions by an organization to the field of corrosion science or engineering. 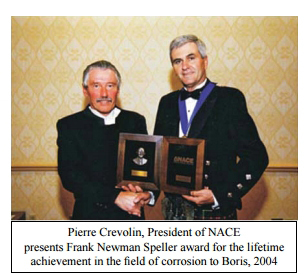 The award recognizes organizations that have, over a sustained period of time, made outsdanding contributions in the field of corrosion science or engineering, or have provided a major technological contribution to either field.Cortec Corporation was awarded NACE Distinguished Organization Award in 2004. 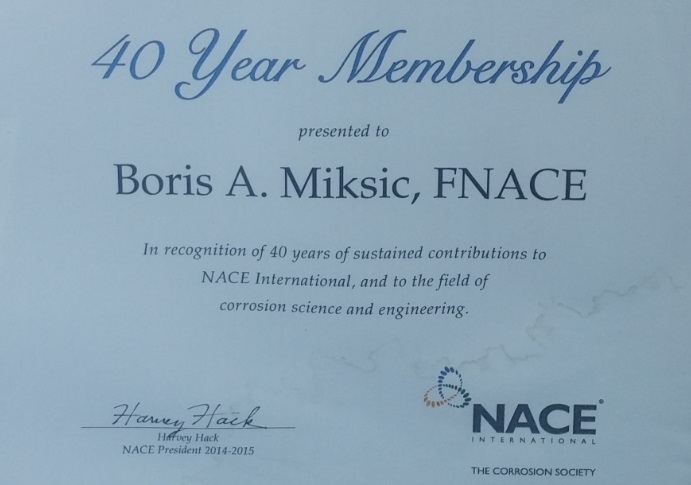 NACE Fellow Honor (2000)Boris A.Miksic FNACE President/CEO received this award in recognition of distinguished contributions in the fields of corrosion and its prevention. This Honor was also established to develop a broadly based forum from technical and professional leaders to serve as advisors to the National Association of Corrosion Engeneers (NACE). 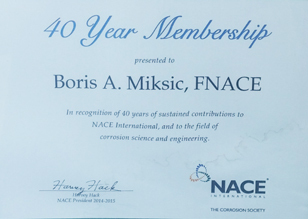 Boris A. Miksic FNACE President/CEO received this award in recognition of significant contributions in the field of corrosion engineering. Such contributions could be the development or improvement of a method, process, apparatus or equipment, or material that facilitates the control of corrosion or makes it less costly. An individual may qualify who has made a national or international contribution to corrosion engineering through some form of education or works.